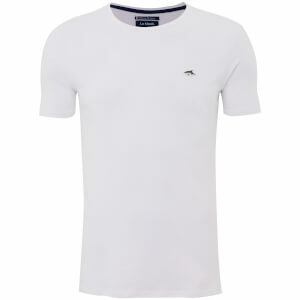 Men’s plain polo shirt from Le Shark. Crafted from a classic piqué cotton fabric, the polo comprises a flat knit collar with tonal piping and a three button placket neckline. Trimmed cuffs, side vents and a straight hemline also feature. Finished with an embroidered shark logo to the chest.